Elisabetta Foradori is a virtuoso of the vine. Since she took over her family’s Trentino estate at the tender age of 20 after her father’s sudden death she has made elevating the native Teroldego grape her life’s work. Teroldego is an ancient variety that thrives in the high, sunny foothills and plateaus below the Dolomite peaks and has close relations to Syrah. With her painstaking attention to detail and stubborn expertise, Elisabetta creates Teroldego-based wines of unrivaled quality that shine on the international stage. 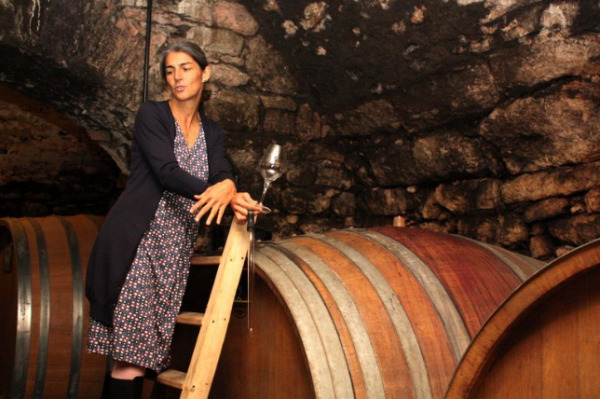 No other cuvée illustrates her brilliance better than “Granato,” her top wine that matures for 15 months in barrel. The Italian word for pomegranate, “Granato” is inspired by the charm, beauty and intensity of its namesake Mediterranean fruit. Indeed, the wine is beautifully rich and polished without pretense, and perfectly balanced by a gentle vein of minerality. The blend is harvested from the stony alluvial soils of three different vineyards of the Campo Rotaliano, with faithful adherence to biodynamic principles before fermentation in large, open-top oak casks for a truly unique and world-class wine. Somewhat rare, there are only about 1,600 cases of “Granato” produced each year. 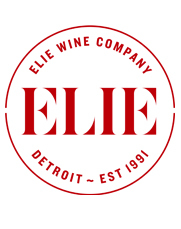 Elisabetta plunged into her first harvest in 1984 after graduating from oenology school where she began refining the vineyards to emphasize quality over quantity. Over the years she has replaced the pergola-trained clones with massale cuttings from the oldest, best Foradori vines. She also began harvesting by hand, pruning rigorously, and converting the farming to organic and eventually biodynamic farming methods. This dedication over the last 30 years of restoration of teroldego’s genetic diversity so that the wines would be deeper, purer and more complex has resulted in Elisabetta Foradori becoming recognized as the top producer of Teroldego in the region. The Foradori estate consists of close to 70 acres of vines, of which 75% are planted to Teroldego. The vineyards are high in altitude and surrounded by mountains yet receive plenty of sunlight to ensure ripeness. The combination of unwavering attention to the vines and low-intervention vinification has created a vibrant and elegant style of Teroldego that is as remarkable as the place that it’s from. Forget what you know about Pinot Grigio. This is no lightweight guzzler meant to be consumed ice cold, in fact the cuvée “Fuoripista” is at its best around the same temperature you would drink a red Burgundy. The wine is the result of a cooperative venture between Elisabetta and another biodynamic winegrower of the Campo Rotaliano, Marco Devigili. It spends more than eight months in clay amphorae in contact with the pink-hued Pinot Grigio skins for a wine that exudes heady aromas of dried flowers and melon. Don’t let its light blush of pink fool you, this is an intensely flavored wine. Only a little over 800 cases produced. “Morei” comes from a six acre parcel of limestone and granite rich soils of the Campo Rotaliano plateau. The vines average 30 years old. The wine spends eight months on its skins in clay amphorae (tinajas from Villarrobledo, Spain), untouched until blending and then resting in cement before bottling. “Morei” means dark in the dialect of Trentino and the grapes from this vineyard reflect this. Their roots plunge deep in the stones and sand of the soil carried by the river Noce giving rise to a sappy wine. About 1,000 cases produced. “Sgarzo” means vine shoot in the Campo Rotaliano. Like “Morei” the “Sgarzon” spends 8 months on its skins in clay amphorae. The vines that grow in the “Sgarzon” vineyard benefit from the cooler climate and the sandier soil that distinguishes the parcel resulting in a more delicate wine than the stonier-soiled Morei bottling coupled with a singular freshness. About 1,000 cases produced. The Campo Rotaliano is a well-demarcated geographical area, a flood plain formed by the Adige and Noce rivers recessed between the Dolomites. This entry-level and flagship wine of Foradori is from mostly sandier parcels of vines planted from 1956 to 2005 totaling around 25 acres and meant to express the alluvial soils of Campo Rotaliano. Fermented in cement – with up to 20% whole-cluster depending on the vintage – and aged for one year in cement and wooden foudres. About 4,000 cases produced.